Simple, Sweet and S’mores, need I say more! These adorable treats on a stick are just as delectable as they look. S’mores Pops would be an excellent addition to any of your summer barbecues, kids sleep overs, camping trips or just because. Traditional s’mores tend to get a bit messy when you eat them, at least for myself I always end up with chocolate and marshmallow all over my hands or face. 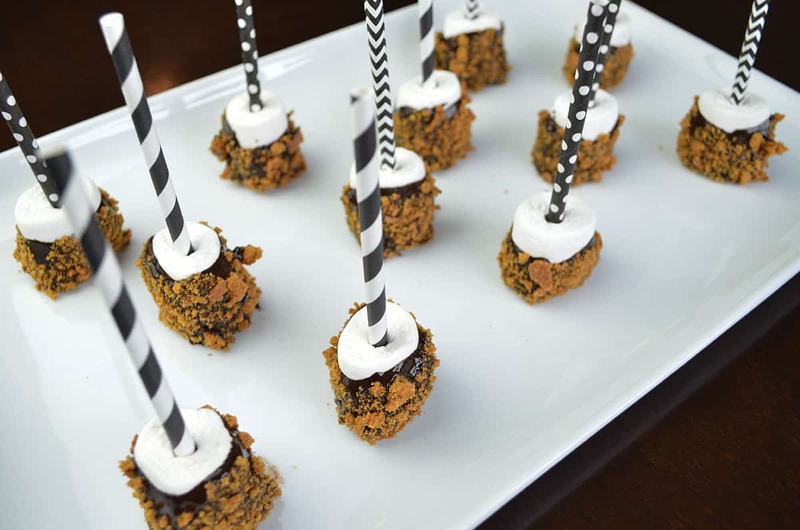 These S’mores Pops are a mess free way to indulge in this sweet treat. So what are you waiting for, get our your favorite chocolate, marshmallows, graham crackers and paper straws to make these delicious treats right now. These delicious S’mores Pops are a fun way to serve a classic treat loved by all.